While acne is often thought of as a teenage affliction, people of all ages can be affected by the condition that can cause unsightly, sometimes painful, breakouts that appear mostly on the face, shoulders, neck, chest and back. The condition affects tens of millions of Americans, both males, and females, and when left untreated, it can result in damaged self-esteem and other problems. While many acne sufferers turn to chemical treatments or prescription medications, these products generally come with a long list of side effects, and are often ineffective. The good news is that there is a more affordable option that comes mostly sans side effects, and is effective at beating acne naturally: essential oils. 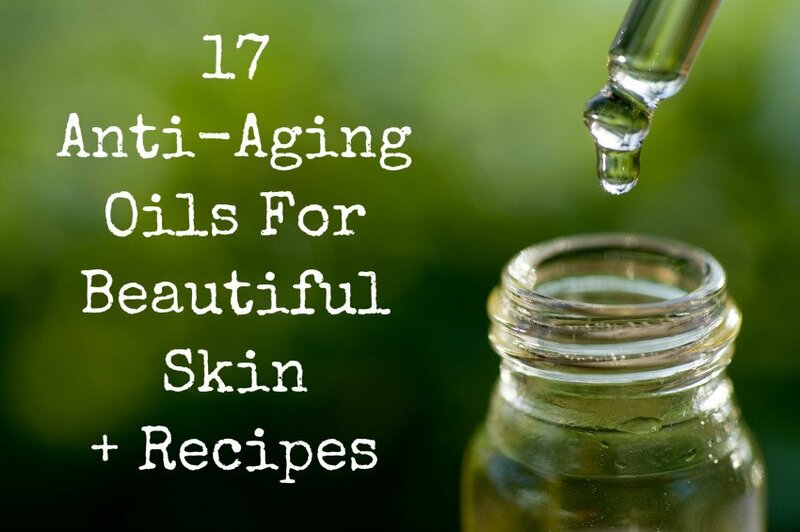 Essential oils have been proven to work for centuries for a wide variety of ailments, and people are increasingly discovering their wonderful benefits today, including using them to help clear skin and eradicate acne. Other research, conducted out of the Skin Diseases and Leishmaniasis Research Center at Iran’s Isfahan University of Medical Sciences in Isfahan, also discovered that tea tree oil was effective for mild to moderate acne. In the study, sufferers were divided into one group, one of which was treated with a placebo and the other with tea tree oil. The patients were followed for a period of 45 days, with checks at 15-day intervals. The results showed a dramatic difference between those who took the placebo and those who received tea tree oil, in fact, the oil was 5.8 times more effective when it came to overall acne severity. Using just a tiny amount of tea tree oil will penetrate your skin to unblock sebaceous glands, dry out whiteheads, blackheads, pimples and other blemishes, as well as disinfect the pores. To use it, first be sure you have 100% pure tea tree oil (such as this bottle of Plant Therapy Tea Tree Oil), not just a product that contains it. Simply mix several drops of the tea tree oil with 20 to 40 drops of witch hazel and apply the concoction to affected areas of the skin using a cotton ball once or twice a day – you can leave it on for several hours, or as long as overnight. If you’re suffering from breakouts across your body, add a couple of drops of the oil to a bath to help clear acne from your back, chest or other areas. Tea tree oil also adds a pleasant scent! If you have very sensitive skin, add a teaspoon of olive or coconut oil to your tea tree oil, or tea tree oil/witch hazel oil blend. Be careful to not overuse it – while tea tree oil is more gentle than benzoyl peroxide, it can also dry out your skin which triggers the body to overproduce its own oils and ultimately worsen your acne. As tea tree oil can make you more sensitive to the UV rays of the sun, be sure to use protection, such as a hat and sunscreen, before going outside. Rosemary is usually thought of more as a spice to add flavor to chicken, lamb and other dishes when cooking. Native to the Mediterranean and considered sacred by ancient Greeks, Romans, Egyptians and Hebrews, this wooded evergreen herb has been used for thousands of years in folk medicine to help improve memory, soothe digestive woes, relieve muscle aches and pains, and aid in skin care. As you probably already know, inflammation plays a significant role in acne. Scientific evidence has revealed that inflammatory damage to sebum is the trigger for starting the acne formation process, as it creates an ideal environment for bacteria (P. Acnes) to colonize blocked skin pores. Toxins in the walls of the bacteria cells irritate skin and increase inflammation, then blocked pores turn into pimples. Researchers from Taipei Medical University in Taiwan conducted a study that found the extracts of rosemary can counter this type of bacterially aggravated inflammation. Rosemary offers a number of powerful abilities, including working wonders when it comes to the skin, which is why it’s recently become a popular ingredient in many skin and hair care products, due to its antiseptic properties. It’s able to reduce excess oil in the skin as well as offering powerful anti-inflammatory compounds that help to lessen skin redness and puffiness that’s caused by acne. In addition to helping to clear the skin, it also improves circulation, which in turn helps to firm and tone your complexion. To use rosemary essential oil (available to buy from here), dilute 3-4 drops of rosemary essential oil into a teaspoon of carrier oil, such as melted coconut or jojoba oil and massage into the affected area. You can also use it to make a great acne-fighting body wash. To do so, make a paste by mixing ¾ cup of ground oatmeal, ½ cup of green tea and ½ cup of rose water. Then add six drops of rosemary essential oil to your paste and apply it to your body instead of using soap to cool and soothe inflamed acne, as well as fighting bacteria that can clog pores. If you have especially sensitive skin and are looking for an especially soothing oil to fight acne, lavender essential oil may be the right one for it as it helps to calm the skin as well as to reduce blemishes. It offers outstanding benefits to the skin thanks to its potent antioxidant and antimicrobial properties that are known to help heal dry skin, reduce the appearance of dark spots and scars caused by acne, as well as to treat acne itself. In addition to its medicinal properties that help clear the skin, lavender is also well-known to help relieve stress and anxiety. And, as research has found that stress and acne are linked (acne flare-ups tend to increase during times of high stress), lavender helps in another way by reducing stress, and therefore reducing the chances of a stress-related breakout. This likely happens because cells that produce sebum have receptors for hormones. Using lavender essential oil also helps to improve the quality of sleep due to its calming and relaxing abilities, which thereby promotes more radiant, healthy skin. You can use lavender oil (available to buy from here) in a number of ways to combat breakouts. Use it to to reduce feelings of stress that can trigger the production of sebum by applying a few drops of the oil to the back of your neck, temples or wrists every morning. You can also apply it directly to affected areas of the skin, taking advantage of its antibacterial properties to fight acne. Add it to your everyday beauty regimen by using it as a moisturizer too: simply combine a few drops of lavender oil with a half teaspoon of jojoba and a half teaspoon of almond oil and then massage it into your skin twice each day. Bergamot essential oil comes from the bergamot plant which produces a type of citrus fruit. It’s defined as a hybrid between a sour orange and lemon, or a mutation of lemon. The oil is removed from the peel of the fruit to use for its medicinal properties. It offers powerful antiseptic action as well as the ability to promote skin growth, making it another great oil for treating acne and other skin conditions. It’s often used to minimize the appearance of scars and other marks that are frequently caused by acne. Experts say that bergamot can also help reduce stress and anxiety levels of patients prior to surgery when used in aromatherapy preparations, so it works similar to lavender by reducing stress that can trigger the production of sebum as well. The antibacterial properties and revitalizing fragrance of bergamot make it great for spot treating breakouts. Begin by blending 5 drops of 100% pure undiluted bergamot oil (suh as this Plant Therapy Bergamot Oil) with a teaspoon of olive, coconut or jojoba oil, and then mix in a few drops of other acne-fighting essential oils that you’ve found to be effective to create your own customized, powerful acne essential oil blend. Just about everyone has this flavorful, aromatic spice in the kitchen, but if you’re looking for a clear complexion, you might want to consider adding oregano essential oil to your bathroom’s medicine cabinet. Oregano oil is considered to be an antimicrobial, making it effective for treating skin conditions, including acne. Its natural antibacterial and antiseptic properties make it especially outstanding when it comes to eliminating zits. Oregano oil has a higher percentage of phenol, an organic compound with powerful disinfectant properties, and it’s also known to contain anti-inflammatory compounds that help to reduce swelling and redness caused by acne. This oil should only be used in very small amounts, and diluted with another oil, as it can cause irritation, such as mixing 2-3 drops of oregano essential oil (available to buy from here) and a teaspoon of carrier oil like olive, coconut or jojoba oil and then dabbing the solution onto affected areas. Before use, it’s best to perform a skin test. Make sure your skin is clean and free of debris, and then add a few drops of oregano essential oil into a teaspoon of olive, coconut or jojoba oil; blend well and then dab just a small amount onto one affected area using a cotton ball. Do not rinse, but instead, allow the solution to dry naturally on your skin – you might experience a slight tingling sensation, but this is normal. If your skin turns red, do not continue to use it. Otherwise, apply twice a day, in the morning and at night, to other affected areas in order to eliminate blemishes and prevent further breakouts. Be very careful to avoid your eyes when applying, as oregano oil will cause a painful burning sensation.